DON’T THROW YOUR TENANTS OUT, WE’LL DO IT FOR YOU. The law firm of Julio C. Cavero, P.A. has a department dedicated solely to the removal of commercial and residential tenants, unwanted guests, and of course, trespassers. It handles commercial evictions, ejectments, residential evictions and unlawful detainers. If you or anyone you know needs help with these matters, call us for a free consultation at (305) 305-1514. Otherwise, feel free to CONTACT US so that we may get back to you at a convenient time. 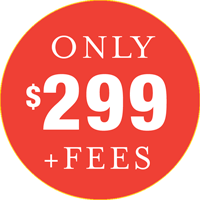 Only $299.00 for Uncontested Residential Evictions, plus court costs and fees. If you are ready to get started, we are going to need some additional information. Please fill out the Tenant Information Sheet & Retainer Agreement, and we can follow up at your earliest convenience. GET STARTED. The hiring of an attorney is an important decision that should not be based solely on advertisements. Before you decide, ask us to send you free written information about our qualifications and experience. The information on this website is for general information purposes only. Nothing on this site should be taken as legal advice for any individual, existing case or situation. It is not intended to create, and does not constitute, an attorney-client relationship. JULIO C. CAVERO, P.A. provides formatted Notices that can be used for purposes of eviction proceedings, but will not advise you on their use or provide legal advice relating to their operation. While the Notices contain provisions that are common in transactions common to residential and commercial evictions, the provisions may or may not be sufficient for your particular situation. No one Notice can fit every situation. The Notices are not a substitute for legal advice. The Notices and forms available for download from JULIO C. CAVERO, P.A., and any information from linked sites, provide general educational information and should not be construed as legal advice. Should you decide to download and use the Notices, you do so at your own risk. The Notices are not guaranteed to be appropriate for all of your circumstances, as other local, state or federal laws may apply. While these and similar templates are regularly used by our firm, our staff has the training and expertise to select the right form and to customize it for the situation. The use of these documents is not a substitute for consulting with an experienced attorney and receiving advice based on your particular facts and circumstances. Your use of any of the Notices does not create an Attorney-Client relationship. By downloading the Notices and/or forms, you agree that the Notices may only be used for your personal use and may not be sold, licensed or redistributed without our prior written consent. If you are ready to get started, we are going to need some additional information. Please fill out the Tenant Information Sheet & Retainer Agreement, and we will follow up upon review.